When I'm packing for a trip I try to pack for all possible scenarios; therefore I always have a checked bag even for a long weekend trip. 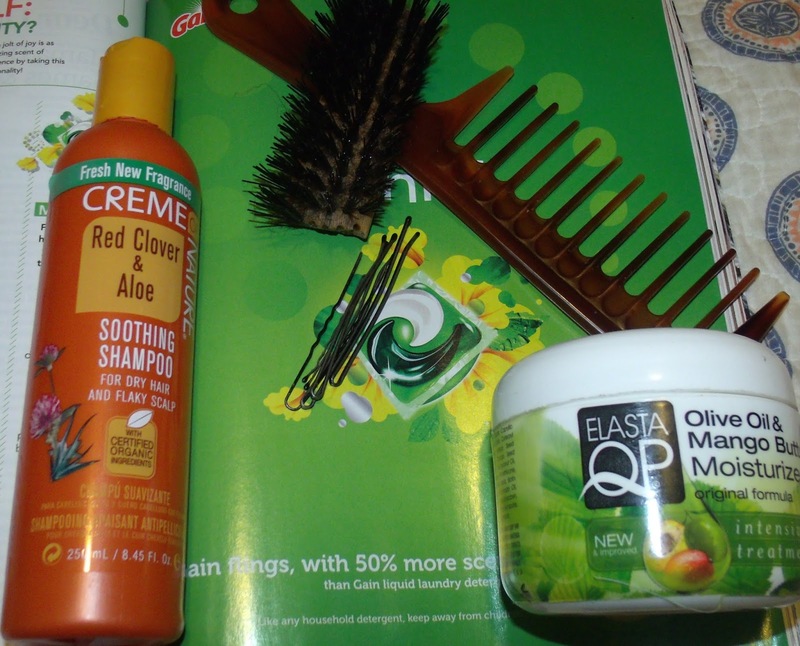 Since I began my healthy hair journey, I have a list of must have items that needs to be in my suitcase just in case the need arises. Yes, there are times when I have only used a handful of these items but having them is necessary to maintain my look( at least in my head). Here are 10 hair must have you need to pack when travelling, while on a healthy hair journey. Satin Scarf or Bonnet- Pack a satin scarf or bonnet to cover your hair before bed each night. Your hair will thank you in the morning because those cotton pillowcases will rob your hair of it's moisture. Moisturizer- Yes, you are on vacation but you will need to keep your hair moisturized so don't forgot to take your favorite moisturizer with you. Pins/ Clips- When your Fly-Girl style gets blow to oblivion by the wind some bobbin pins or a clip can make world of difference; so don't forget to pack some. Hair Brush- You may need to get your edges under control before pinning up your hair, so a soft bristle brush will come in handy. Wide tooth comb- I often find myself vacation by the pool or the beach so depending on the length of the trip I may need to wash my hair. If you find yourself in this predicament a wide tooth comb is necessary. Shampoo (Co-wash)- You may need to do a quick wash so don;t forget to pack your favorite shampoo or co-wash.
Conditioner- Packing your favorite conditioner won't hurt because you already have the shampoo. Moreover, it may come handy, so toss a few ounces in the bag. Blow dryer- I know most of use have given up using direct heat but the need may arise so be prepared, because who wants to go out to a romantic dinner with wet hair. Curling iron- Hey you never know, I believe in been prepared especially us relaxed/texlaxed ladies. Rollers/perm rods/flex rods- I personally like bouncy fluffy hair so I always pack a combination of these depending on the trip. I tend to take full sized items with me because I'm a neurotic but the TSA allows you to take three ounces of less in your carry-on. So you can put your moisturizer, shampoo and conditioner in travel size bottles. What are some of the hair care must have you pack when travelling? Great list! I would bring everything you mentioned except the blow dryer and curling iron. I might bring a flat iron though (and cross my fingers that the hotel had a blowdryer in the room). Thanks Darling... I like the flat iron idea even though I really use one.